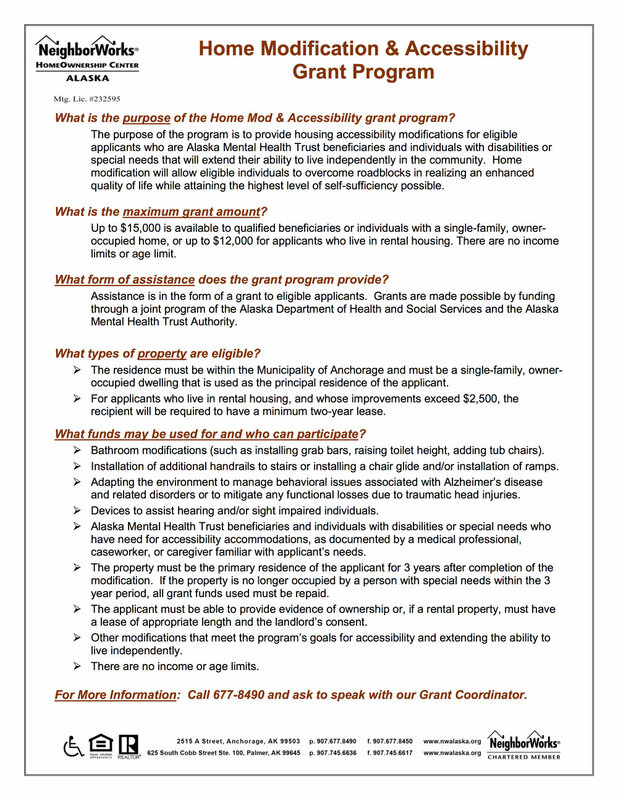 The Home Modification & Accessibility (HMA) Grant Program is now open for application! The purpose of the HMA is to provide housing accessibility modifications for eligible applicants who are Alaska Mental Health Trust beneficiaries and individuals with disabilities or special needs that will extend their ability to live independently in the community. Home modification will allow eligible individuals to overcome roadblocks in realizing an enhanced quality of life while attaining the highest level of self-sufficiency possible. Up to $15,000 is available to qualified beneficiaries or individuals with a single-family, owner-occupied home, or up to $12,000 for applicants who live in rental housing. There are no income limits or age limit.